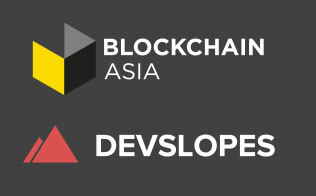 Blockchain Asia offers courses that help blockchain enthusiasts, developers and entrepreneurs further their knowledge in this exciting and fast-moving field. Our courses are offered in tandem with leading institutions in the industry and are recognised globally, enabling broader career prospects and opportunities. Gain a comprehensive understanding of the world’s most developer friendly blockchain platform – NEM – while learning advanced development skills on the NEM blockchain in this intensive 5 day course. NEM is the world’s most developer friendly blockchain platform. From Dapps, to ICOs, to Fintech, NEM has it all. This first-in-asia training program, open to developers of all levels of experience, will equip you with everything you need to become an advanced developer on the NEM blockchain. In just five days, you’ll go from knowing absolutely nothing about NEM to building products on the blockchain and launching your own network.